Would you apply the same approach and model of change if you were trying to solve the Cooperative Bank’s leadership and governance issues or trying to change the way that the big six energy providers bill for their services? Do traditional change management models work or do we need to think differently? ‘Think Change, Think Different’ was the title of our recent Crelos Change Mastery Workshop reported in this newsletter. We heard from speakers from different industry sectors, with diverse change experience, speak about the change challenges they are facing, the approaches they have used and the lessons they learnt; Dr Raj Thamotheram, a thought-leader in the field of long-term, sustainable investing; Vishal Chhatralia, Head of eCommerce Change at RS Components; Benjamin Baker, Head of Lloyd’s Market Association Academy and Guin Batten, COO of the TOP Foundation at Youth Sport Trust all shared their experiences of leading change. Common themes from their experiences included being crystal clear about the change vision, ensuring that change advocates are identified and involved throughout - and not being caught out by predictable surprises! However, what was perhaps as, if not more interesting was the importance of different catalysts for change in these very different organisations and organisational contexts. Continuing with the sporting theme, in this edition we also share our experiences of supporting British Rowing with their latest change management challenge - the development of their strategic plan up to 2020. In a sport with such a successful track record, how do you get such a diverse rowing community to input into and feel engaged in the vision for the future? Finally, we take a look at the cultural journey of one of the World’s most revered financial institutions. 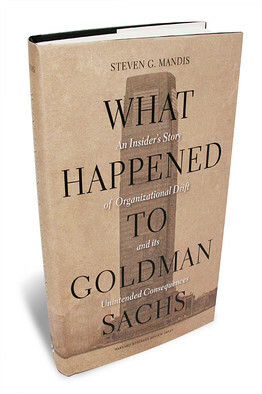 In her article, Ali Gill gives a review of the book ‘What Happened to Goldman Sachs: An Insiders Story of Organisational Drift and its Unintended Consequences’, by author Steven G. Mandis. In his work, Mandis sets out to illuminate the process and factors whereby the firm has been seen to exhibit “organisational drift”, rather than “a value judgement on Goldman’s cultural change”. As this will be our last Crelos Quarterly before the Festive season, we wish you an enjoyable Christmas and look forward to working with you in 2014. In this article, Alana Inness summarises the findings of our latest event, where we heard from speakers from different industry sectors, with diverse change experience, speak about the change challenges they are facing, the approaches they have used and the lessons they learnt. Dr Raj Thamotheram, a thought-leader in the field of sustainable investing, kicked off the event with a lively account of trying to change the way investors think to ensure investment is sustainable in the long term and not just profitable in the short term. Following his insightful look at sustainable investing, former Olympian and COO of the TOP Foundation of the Youth Sport Trust, Guin Batten took the floor to share the journey of her organisation in trying to deliver their vision of all young people getting high quality engagement in sport from the start of their education. Following energetic audience discussion on the insights from the first two speakers, Benjamin Baker, Head of Lloyd’s Market Association Academy, told us about the challenges of embedding change in a culture with a long history and lots of ingrained perceptions. The final speaker of the evening was Vishal Chhatralia, Head of eCommerce Change at Electrocomponents, who painted a vivid picture of his recent experience of the organisation’s efforts to move from a very embedded offline approach to a more agile, digital one where data is used to drive decisions and become more dynamic. Banks and other financial institutions have always provided a rich field of study and never has this been truer than in the years following the financial crisis of 2008. In this article, Ali Gill provides her review of ‘What happened to Goldman Sachs: An insider’s story of organisational drift and its unintended consequences’. The book offers a rich and objective analysis of the culture and cultural journey of one of the World’s most revered financial institutions from 1979 to the present day. How do you get a large and diverse community such as rowing, with such a successful track record, to input to and feel engaged in the sport’s vision and strategy up to 2020? This has been the challenge for British Rowing’s CEO and Chair, who have been supported by Crelos over the last few months in the development of their new strategic plan. A recent study by MIT Sloan Management Review and Capgemini Consulting, ‘Embracing Digital Technology: A New Strategic Imperative’ reveals why organisations are struggling to drive Digital Transformation. The study, which gathered responses from over 1500 executives in 106 countries, reveals that while the potential opportunity of Digital Transformation is absolutely clear, the journey to get there is not. Where CEOs have shared their vision for digital transformation, 93% of employees feel that it is the right thing for the organization. But, only 36% of CEOs have shared such a vision. Leaders need to gain a deeper understanding of themselves and their impact on others if they are to succeed at managing organisational change, says new research by Dr Johan Coetsee, Senior Lecturer in Organization and Human Resource Management at the University's Newcastle Business School. 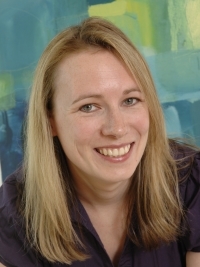 The research, based on interviews with 27 successful CEOs of multinational companies and public sector organizations in the UK and Ireland, reveals that the authenticity and attitude of the leader was the crucial factor in winning the hearts and minds of employees in order to create successful change in an organization, rather than the use of an existing change management model. The findings offers solutions far removed from the standard one-size-fits-all business models, instead emphasizing the importance of a manager or CEO gaining a true understanding of themselves, their organization and their employees in order to create their own tailor-made model for change that will succeed. 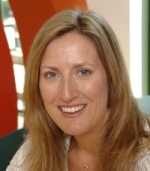 Dr Coetsee's research has been published in a book, co-written with colleague Professor Patrick Flood, Professor of Organizational Behaviour at DCU Business School, Dublin City University, entitled Change Lessons from the CEO: Real People, Real Change.